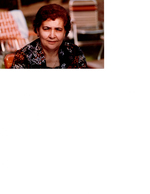 Mrs. Veronica Russo entered eternal rest on Sunday March 17, 2019 surrounded by her loving family. She was 95 years old. Veronica was the beloved wife of the late Angelo. She was the devoted mother to Ralph (Sandy), Antoinette DePippo (late: Paul), and Ann Russo. She was not only the cherished Nonnie to her 3 grandsons, Dave (Maura) Russo, Paul DePippo and Jordan Russo but to all her grandson’s friends. Nonnie loved and made each one arriving in her home feel welcome and special. There was always a chair at Nonnie’s table for whoever arrived. At 95 her smile and laughter brightened your day. The Russo family will be receiving friends on Friday from 5-9 pm at The Harrison Funeral Home. Mass of the Christian Burial 10 a.m. St. Gregory the Great. Interment to follow at St. Mary’s Cemetery, Rye Brook, NY.